Forza Migliozzi has been honored with two prestigious national 2015 Telly Awards in this year’s annual advertising competition. Each year, The Telly Awards honor and showcase the highest standards of excellence in broadcast television commercials. Winners of the 36th Annual Telly Awards were selected from over 12,000 entries across the United States. Forza Migliozzi was acknowledged for their commercials for Audi Pacific, which were created to unveil and introduce the largest Audi showroom in the United States. With the ethereal feeling of luxury and simplicity, the two :30 second broadcast commercials entitled “The Walk” and “The Drive” highlight the uniqueness of the Audi dealership’s customer experience, it’s new architectural home and their reputation for an elevated standard of customer service and satisfaction. “The Telly Awards has a mission to honor the very best in television advertising,” said Linda Day, Executive Director of the Telly Awards. “Forza Migliozzi’s accomplishment with their work for Audi illustrates their creativity, skill and dedication to their craft and serves as a testament to great advertising.” Founded in 1979, the Telly Awards is the premier award honoring outstanding broadcast television commercials. Winners represent the best work from the most respected advertising agencies in the world. Headquartered in Los Angeles, CA, the award-winning agency is known for its full-service, fully integrated street-smart approach that executes big ideas designed to defy convention and overcome any challenges in the ever-changing global marketplace. Sometimes with law-changing outcomes. 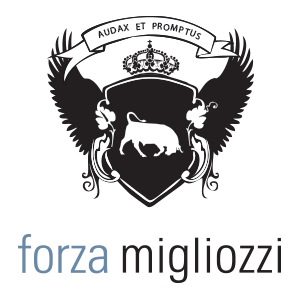 Forza Migliozzi is a modern full-service design and advertising company with a host of high-profile client experience that includes NIKE, ESPN, espn2, American Express, Planet Hollywood Resort & Casino, Baha Mar, Coca-Cola, Subaru, Porsche, Audi, Warner Brothers, Pepsi, Foot Locker, Champs Sports, Panasonic, Nintendo and many more.